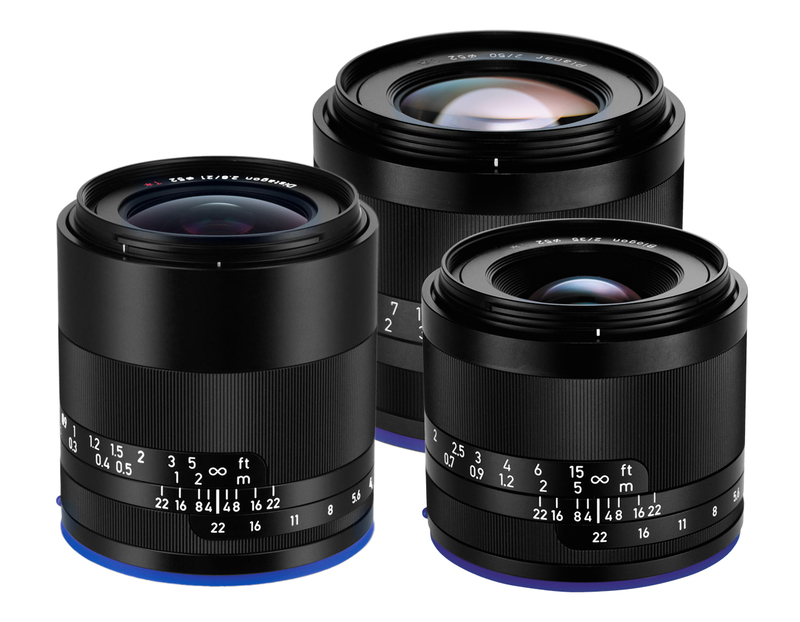 Zeiss discontinued Touit line – 12, 32, and 50mm. Since you’re reading this post, I’m going to assume you’re as much a Fuji fan as I am and are familiar with the Zeiss Touit series. If not, I’ll give you a quick breakdown: Zeiss introduced the Touit line mid 2013 with a 32mm f/1.8 and a 12mm f/2.8, both available in a Fuji X mount or a Sony E mount – same glass in either option but the Fuji X mount version featured a manual aperture ring that the E mount version lacked. About a year later Zeiss added a 50mm f/2.8 Macro to the Touit line. From what I gather, the Touit line didn’t do as well as Zeiss had hoped and honestly, I don’t know if they’ll continue producing new designs. Jump forward a bit and Zeiss announces another line of mirrorless lenses called Loxia. Only, this time they left Fuji out altogether offering the Loxia exclusively in Sony E mount. The Loxia line currently consists of a 21mm f/2.8, 35mm f/2 and a 50mm f/2, designed specifically for Sony 24x36mm full frame cameras. I was a little bummed because I really do enjoy Zeiss lenses on my Fuji X-T1. The autofocus on the Touit lenses is nice and even the manual focus, despite being fly-by-wire, is pretty darn good. Because Zeiss is leaning more and more towards the Sony world, I wouldn’t be surprised if they left Fuji out completely. Our 3D printer almost finished with our first prototype. Now that you’re up to speed on the Zeiss/Fuji/Sony relationship, let’s get back on track. I use a lot of full legacy lenses with my Fuji X system that includes many manual operation lenses from a wide variety of manufacturers. When I heard that Zeiss was releasing a true manual lens for mirrorless cameras, I hoped that there would, at some point, be a Fuji X-mount version. I met up with Zeiss’ Head of Sales for dinner about a month ago and was assured, to my dismay, that there are currently no plans to offer the Loxia lenses with a Fuji X mount – and I understand why from a business standpoint. I can only imagine the burden of confusion if Zeiss made a full frame lens that mounted to an APS-C camera. I still receive a few phone calls and emails every week from industry folk who simply can’t wrap their head around the whole crop factor issue and how image circle works. Zeiss Loxia with our prototype (clear SLA) Fuji X-mount for initial testing. At that moment I decided that I was going to simply make my own Fuji X mount Loxia. There are so many things about the Loxia primes that I like, it just made sense (to me). They’re small, lightweight, proper manual control of the focus and the iris, and really, pretty decent optics. They certainly aren’t going to come anywhere close to the optical performance of the Zeiss Otus lenses, but for the price, the Loxia primes are quite nice. So I got to work. I drew up some basic designs as soon as I got home just to make sure everything would fit neatly. I was happy to find that the difference in flange depth between the Sony E mount and Fuji X mount was a mere 0.3mm. The diameter of the two mounts is surprisingly similar as well. Back in my shop, Alex, our engineer, and I began going over the finer details and rendering CAD mockup models. We found that the conversion would work quite well. As with all of our projects, we began with a 3D printed prototype. This provided us a physical test for the system that confirmed that everything was in place and there wouldn’t be any interference issues. I took the lens out for a spin on my Fuji X-T1, plastic mount and all, over the weekend and made some test images. Everything worked as expected and I was very pleased with the results. I could easily have left it with a simple resin mount, but when it comes to engineering and lenses, I venture for nothing short of perfect. Most photo lenses these days have a mount machined from brass with a nickel plating. I prefer something a bit more robust so I opted for stainless steel. The mount was CNC milled from a single block of stainless steel with a tolerance of +/- .0005″. Finished product – Loxia 35mm with stainless steel Fuji X mount. Loxia 35mm f/2.0 mounted to my X-T1, ready to shoot! 3D printed prototype to test fitting and dimensions. After a good amount of time with the Loxia 35mm mounted to my X-T1, I have to say I’m quite pleased with the results produced by the combination.. I have every intention of proceeding with the 50mm and the 21mm Loxia as well, just in time for the new X-Pro 2. What about IQ consistency across the frame? Sharpness, distortions? This lens is designed for FF. Like with all adapted lenses on crop format, there’s no IQ consistency, even with Zeiss Contax lens. I mean, it can be good for portraits, but not for landscape and architecture. It doesn’t matter what format the Loxia are designed for. This 35mm Loxia will provide a field of view identical to that of the Fuji 35mm. This isn’t a cheap adapter. This is a solid, fixed re-mounting. There are no consistency problems. The Zeiss Contax lenses are vintage – of course there is no consistency. The Contax lenses simply can’t be compared to the brand new Loxia primes. Quite amazing what people can do today with modern technology. Do you plan to offer a conversion service for people, or supply the mounts? Possibly. I’ll wait and see what Zeiss has up it’s sleeve until I invest in more tooling and setup. This is interesting to me, particularly the 21mm Loxia. Dear Matthew, thanks for this interesting article. I am looking for a wide angle (maximum 24mm lens, but preferable 21mm lens) manual focus solution for my Fuji X-E2, and the lens shouldn’t be too large (SLR lenses with adapter for instance are in my opinion too large). Without any experience, it looks like the design of the Loxia lenses is better than the the design of the M-mount lenses (Zeiss ZM, Leica, Voigtlander). Could you comment on corner issues in relation to the design of the Loxia 21/2.8 in relation with a 1,5 crop factor? I’ve seen some interesting images from a guy who uses the Leica Elmarit-M 24/2.8 ASPH with his Fuji X-pro1 and the results are OK from F5.6/F8.0. I’ve never seen any results of the Leica Elmarit-M 21/2.8 ASPH, which gives you an effective focal length of about 32mm on a APS-C sensor. Thank you for your reaction. Walter, you may want to look into the Rokinon 21mm f/1.4. It’s a fully manual lens with decent optics. Some shooters dislike the plastic body, but if you can get past that, it’s not a bad choice at all. As for the Loxia lenses and their “crop factor”. There really isn’t any crop factor. The 35mm Loxia will have an identical field of view as the 35mm Fuji. Too many people get caught up in attempting to match 35mm Full Frame and it simply isn’t necessary. In regards to the “corner issues”, I haven’t seen anything out of the ordinary. Keep in mind that when you’re using a lens that’s designed to cover a 35mm Full Frame sensor on an APS-C camera, you’re really only using the sweet spot of the image and tossing out the field image (the crop). So it’s a win-win if you look at it right.